The oldest holiday celebrated in Texas is Christmas. 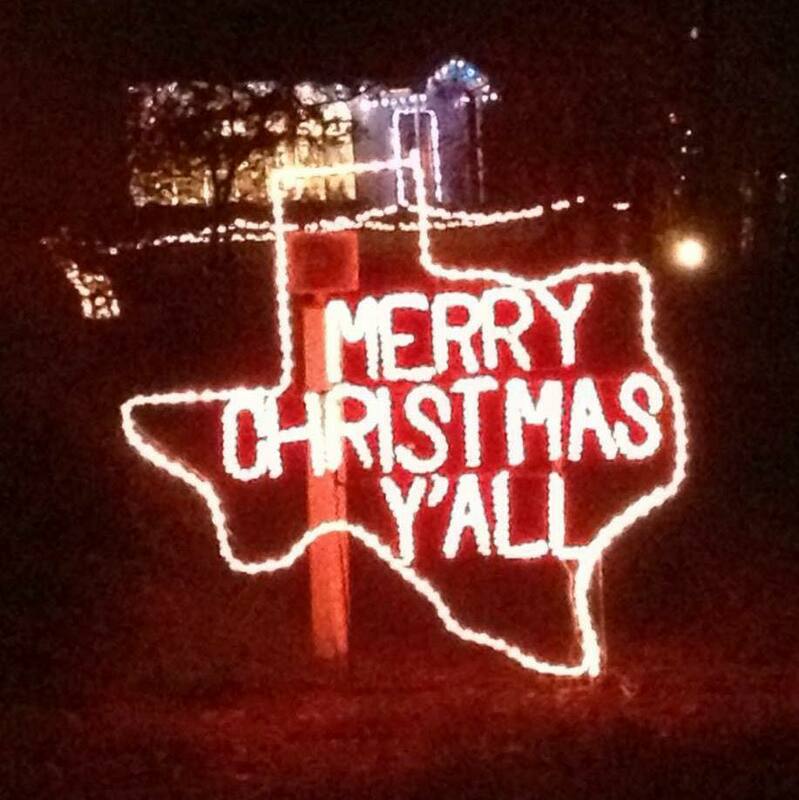 As Texas grew under the six flags each nation brought their own customs and traditions for celebrating Christmas. You would be hard pressed to name another holiday that enjoys as many traditions as Christmas. With the season upon us again it’s only fitting to look at some of these customs, where they come from and who was responsible for them. Spain 1519-1685: The Spaniards came to Texas in 1519 and brought Catholicism and Christmas with them. The first indication of a celebration by the Spaniards came in 1599. They held a Christmas pageant near present day El Paso. It included roles for men and women and some of the local Indians. It is believed that the tradition of the piñata dates back to this period. The paper mache figure is filled with candy and small toys. A blindfolded player tries to break the piñata with a stick so that the treasures spill out. This exciting tradition continues to this day. France 1685-1690: Although France ruled Texas for only five years, it left its mark on Texas’ Christmas traditions. Also strongly rooted in the Catholic religion, the French brought the celebration of Epiphany into the holiday. Epiphany was also known as the Twelfth Day. It takes place the twelfth day after Christmas (January 6th) and is symbolic of the time the Three Wise Men bestowed their gifts on the baby Jesus. Although France ruled a short time, the heaviest French influence would come about 150 years later during the Texas Republic period. The French opened the French Legation in Austin for their diplomats. Christmas as it was in 1841 is celebrated there each year with traditional dress and customs. The French version of Santa Claus, Pere Noel, always makes an appearance. The French also liked Christmas trees. The early Texans would decorate them with assorted cookies. It is thought they were to symbolize communion wafers. If Christmas was being celebrated, you could count on seeing a “crèche” nearby. That is the French version of the Nativity scene. How can you mention the French and not mention food? During the yuletide season they would bake a chocolate cake and then roll it up to look like a Yule Log. Spain 1690-1821: For the next 131 years Spain ruled Texas. It was during this period that all the great missions were built. The priest worked tirelessly to convert the Native Americans to Catholicism. It was common for the priest to put on pageants, festivals and great feast at Christmas to show the Indians to benefits of the church. San Antonio seemed to be particularly active in this regard. About 1731, a group of settlers came to the town from the Canary Islands. They brought a custom they called, “Las Posadas”. It means “The Inns”. The custom plays itself out as a group of families go from house to house singing Christmas carols. At each house they get turned away until, finally, they are invited in and pray at a nacimiento—the Spanish Nativity scene. Shortly afterward, a party breaks out. At about the same time America was declaring it’s independence from England, another tradition took root, again, in San Antonio. A play called “Los Pastores” (The Shepards) was performed. It is still performed each year at the Mission San Jose where it was first performed in the 16th century. This play portrays the story of the shepards as they try to make their way to Bethlehem. Another custom that grew out of the 1700’s was the Spanish “luminaries”. The Spanish Texans would light a series of small bonfires. It is thought that they would symbolize the fires the shepards would build each evening of their journey—some even suggest that it could allude to following the light of the North Star. With the influx of more Americans into Texas, paper bags came into use. This is where the custom of burning a candle inside the sand filled bag came into vogue. It is still a popular custom to this day. Mexico 1821-1836: By 1821, Mexico had won its revolution from Spain and in so doing, became the ruler of Texas. Because of its rich and deep heritage with the Catholic Church, it became law that no Protestant Churches could be started in Texas. Almost all of the new settlers from the United States were protestant. Conflict was inevitable. To get around the law, one man went so far as go up to Illinois, form a protestant church there and moved it to near present day Bastrop. In 1834, they held the first legal Protestant Christmas celebration in Texas. Another Christmas symbol you’ll recognize comes from this time period. The American government had its eye on Texas for some time. It sent Joel Poinsett to Mexico with the purpose of purchasing Texas for the United States. Why not? Jefferson got a deal on the Louisiana Purchase. While in Mexico he saw flowers that the Mexicans called “The Flower of Christmas Eve”. He took some home with him. Before long Poinsettias became popular plants that are synonymous with Christmas. These were hard times for the settlers that continued to stream into the future republic. These for the most part were not rich people. They did all they could do to coax a subsistence living off the land, cattle or tiny retail establishments. There were not many luxuries. It would be a good Christmas if they could find eggnog or even fresh milk. The Mexicans would enjoy a Christmas meal, which included tamales. Tamales have become a tradition especially in Texas and the southwest. The cornhusk-covered delight is covering more geography each year. This is also the time when the Midnight Mass became popular. 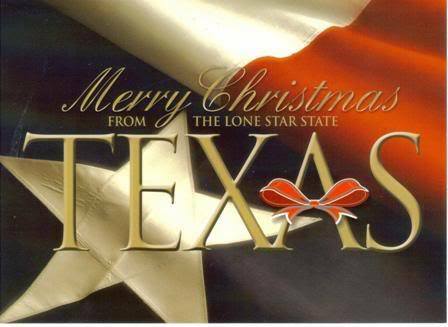 Republic of Texas 1836-1845: Up until the Republic of Texas was established, Christmas was really focused around the church. Once Texas became a nation, it was no longer illegal for Protestants to form churches and celebrate to their own liking. This is when more activities away from the church began to surface. Balls, dances, hops and square dances were held wherever people gathered. For the most part the people were poor and could not afford much in the way of gifts. While the Republic of Texas took root, people of various ethnic backgrounds where moving in—bringing their homegrown customs with them. There were the Germans, the Czechs, Irish, Scotts, Poles and others—all adding to the tapestry of Texas. Although the French used Christmas trees in their observance of the holiday, it was the Germans that held the Christmas tree very close to their hearts. Although the earliest use of “Christmas trees” goes back to the Druids of England (who did not celebrate Christmas), the Germanic people somehow came up with a connection between the “Tree of Knowledge” in the Garden of Eden and apple trees. Since apple trees are bare during the winter, they used evergreens and put apples on them for decorations—later it would be roses—eventually, decorations of various types would be used. These trees were often placed on the table. The floor to ceiling jobs were strictly an American custom. Ironically, the first artificial trees came from Germany too. Gifts given during this time were usually quite practical—scarves, socks and other homemade toys or crafts. The United States received a gift during the season of 1845. The Lone Star became the 28th star on the flag of an ever-expanding nation. Antebellum Texas 1845-1861: The period of statehood between it’s joining the union and the Civil War is known as the Antebellum period of Texas. It was during this period when Santa Claus first appears in Texas. The real St. Nicolas lived in Turkey during the 4th century. He is reported to have died on December 6th. This is the date that many Czech and Polish Texans celebrate his day. Most Americans today got their first real look at the jolly old elf through Clement Moore’s famous 1822 poem, “A Visit From St.Nicolas”. You probably know it better as ‘Twas the Night Before Christmas”. In the poem he had eight tiny reindeer. Rudolph, a strictly commercial addition, would not show up for about 120 years. By mid the 1800’s, stockings were hung with care on fireplaces all across Texas (and America for that matter). By now, people of all ethnic backgrounds were observing many culturally diverse traditions like Yule Logs, popcorn strands, wassail punch, mistletoe, and general revelry. The holidays would take on a different light over the next five years as Texas became part of the Confederate States of America. Confederate Texas 1861-1865: These were extremely tough times in Texas. Constant shortages made gift giving and eating, at times, challenging. People out of necessity had to be self-sufficient. Many resorted to making their own shoes and clothes. They would send what little they could to their family members off fighting the war with little guarantee they would ever receive the packages. Wars end however; the Civil War was no exception. United States 1865-Present: The Reconstruction period right after the war was particularly harsh. Most southerners felt they were being punished for the war. Shortages continued as the people tried to reestablish their lives. In time, things did get better and Texas began to flourish. Christmas cards, an English invention, caught on—a tradition we joyfully continue to this day. Christmas seals first appeared in 1907. The world famous fruitcake came from a bakery in Corsicana in 1896. It was a German recipe and it’s still being made there today. Texans now celebrate the holiday according to their own customs and desires. If you would like to find out more how Christmas was celebrated under the six flags, you might consider reading, “Texas Christmas As Celebrated Under the Six Flags” by Elizabeth Dearing Morgan. I hope you have a wonderfully joyous holiday season. However you choose to celebrate, may it be all you hope for. Remember the reason for the season and keep Christ in Christmas. Merry Christmas from our home to your home. For a good while now people have asked me when I was going to have a new book. Your wait is over. I have been thinking on this subject for a good while and decided that I needed to add an end cap to Texas in Her Own Words. Several people have asked me if I were going to write a sequel to the book. The more I thought about it the more I realized I have already written this book. Yes, I could release it with 62 different people in it but I submit the findings would be the same. The findings that came out of Texas in Her Own Words were more than 170 years in the making. Those concepts are not going to change anytime soon. If you have read the entire book you see at the end I refer to the four traits that all Texans share but I really don’t get down into explaining why they are so important. That’s because at the time I was aware of them but I hadn’t fully explored what those traits really say about Texans and the Texas character. That is what ‘Tex-A-Tude! covers. “The source of the Texas character goes back to the beginning of the Texas story. Come with me as we take a look back. I have often joked that Texas was originally settled by golfers. Golfers? Yes, golfers. You see, these immigrants to the new Promised Land were all looking for mulligans. They all wanted „do overs.‟ They were looking to start over–to get a fresh start and, if necessary, to reinvent themselves. Simply put, they came for the promise of opportunity to better themselves. Look at the stories of some of the more famous settlers, Moses Austin, Sam Houston, Jim Bowie, David Crockett and William Barrett Travis. Sam Houston was a former governor of Tennessee and an alcoholic sent here by President Andrew Jackson to see if there was a way for the United States to acquire Texas. William Barrett Travis abandoned his family to seek his glory in Texas. Had Jim Bowie remained in Louisiana, he probably would have been hung for land swindling and slave trading. Moses Austin lost his bank in the Bank Panic of 1819. He was busted broke but through contacts in Mexico was able to get permission to open Texas up for colonization. If you’d like to learn whole story, Tex-A-Tude is available for for just $3. This is a 30 page e-book with pictures, humor and a perspective even most native Texans haven’t sat down to think about. Here’s the link to my website where you can purchase ‘Tex-A-Tude’ http://www.tweedscott.com/index_files/Page434.htm Thanks for taking time to read my blog. God & Texas!